LG Goldstar chassis MC19A MV31A CRT-Flat 20"-21" 110º superslim, equivalent: 6174V-6006E BSC23-N0107E BSC26-4482 F36N.5016 HR80033 FBT80033 FBT41370. Kenstar Nordmende Orion Thomson chassis 21S06 51cm-110° superflat, equivalent: 08014141 BSC24-4028i BSC2401N4028i BSC24-01N40281 HR80914 FBT80914 FBT41449. CCFL invertor trafo LCD 19'' - 22'' SAMSUNG BN44-00177B, BN81-04191A, LS19PMASFY chassis LS19PMA (modul SIP1920). 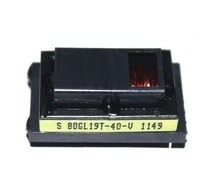 LCD inverter transformer for Samsung 932MW LE32B530 LE32B551 LS19PMASFEDC 17"-19" Chassis LS19PMA N65A N65E, CCFL Inverter: BN44-00261A BN44-00261B. Daewoo Panasonic chassis CP521F CP521FS TK21"-90°, equivalent: 14127009C 1412.7009 1412.7009C 50H0000278 HR80324 FBT80324 FBT41282. Clatronic Provision Shov Quasar Tauras 21" chassis 11AK32 MN-TV2KR, equivalent: BSC25-0201 BSC250203K BSC25-1194F068 DST2010-F68 JF0501-32853. Daewoo Panasonic Technics chassis CP185G CP185L CP185S CP521P, equivalent: 1142.5161 11425161 1142.5161B 50H0000237 50H0000256 BSC25-0230D BSC25-5515 HR80242 LTC515 LTC535 FBT41359 FBT80242. Kontrast Elite Hisense, chassis TOUSDA TH21Z6, equivalent: BSC25-T1028 BSC25-T1028B BSC25-1029 DST2010-S62 YBSC4017EA HR80472 FBT80472. Daewoo chassis CP062 CP375 CP380 14-21", equivalent: 1142.5057A 11425057E 1142.5077 11425077 1142.5077A 1142.5080 50H0000177 HR7880 FBT7880 FBT40473 FSA36012M. Daewoo Megavision DMQ2035 chassis CP310 CP315 CP317 CP325 CP330 CP340 CP350 CP365 CP901, equivalent: 50H0000120 50H0000084 BSC23-1108 TSM4020 HR7644 F14N.5006 FBT40265 FBT7644. Basic Line Belstar Goodmans Hitachi JVC Seg Sharp Watson Vestel chassis 11AK20 11AK30 11AK36, equivalent: 30017788 BSC22-N0103D BSC-22-N0103 DST2010-004B DST2-20-B44 DST2-36 DST310 DST310H V30017788. Clatronic Quasar Provision, 40MNTV2KM 40MNTV2KY TV2KM TV2KY chassis 14"-16" (37-42cm). Cross Reference: 37-BSC2548-05X, equivalent: BSC24-09G BSC25-29 BSC25-6108 BSC25-N0125. Provision Quasar Tauras sasiu 40-MNTV2KR-K6C-M TV2KR. Cross Reference: 37-F080147-85I BSC25-4835 CF0801-4780 CF0801-4785 LTC209 PET21-07 PET22-08. 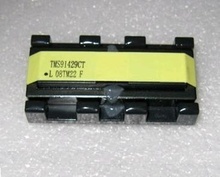 CCFL Inverter Transformer for SAMSUNG 17"-19" LCD 932MW 940NW 943NW. Cross Reference: TM-0917 TM-1017 TM1017. CCFL invertor trafo LCD 15"-19"-22". Grundig Sony Vestel Cross Reference: 30062616 759551613400 994803316 FURI-100707 HUT-219 TMS91365CT TMS94819CT TMS93633CT TMS95026CT. Bronx Crown Mustang Edelstein Elite Gut Schneid Gutschneid Kontrast model: 21EA180 CM721TAV chassis TOUSDA THP1008A 21-32", equivalent: BSC27-T0903 DST2010-E33. Bobina drosel 470uH 10% 700mA 0, 51Ω 12, 5x20mm. Electrolux Whirlpool Cross Reference: 000434349 / DZLM0470 Spule / Coil Drossel Inductor LNK304PN Repair Kit. LG chassis MC64A equivalent: 154-375H 6174V8004A 6174V-8004A 6174Z-8004A HR8163 F14N.5007 F14N.5003 FBT8163 FBT41367. Kontrast Elite Hisense 2132 21R01 chassis Tousda 110°, equivalent: BSC27-1428 BSC27-010116 DST2010-E39 YBSC4017EA, pini: 1, 2, 3, 4, 10 // 5, 6, 7, 9. Elite Hisense Kontrast ultraslim chassis TOUSDA 25"-29", equivalent: BSC27-010115 BSC27-T1028B BSC27- F1123B BSC29-T1123B CM801S DST2010-E41 LTC539. 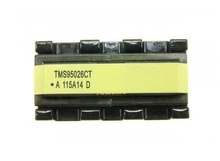 Daewoo Panasonic Technics chassis CP185G CP185L CP185S CP521P, equivalent: 50H0000295 BSC25-0232D TC535 LTC5355. Goodmans Hanseatic Daewoo chassis CP485F. Cross Reference: 11527001C 13625019C 50H0000234 50H0000240 HR8717 HR8744 FBT8744 FBT40978. CCFL inverter trafo (rez. primar 0R5, secundar 2K4) for CPT-370WF02S VK.8A183.107 Samsung 37" 16 Lamps, equivalent 6019B. Silva Gut Schneider Sunny chassis ETC009 M61 TK-90, equivalent: 37-FBA-001-CAA2A 37-NR0002-CAA BSC25-0252. Samsung chassis P58S PS68A, equivalent: AA26-3001H HR7471 003071033 003201013 1142.4004 FBT40553 FBT7471. 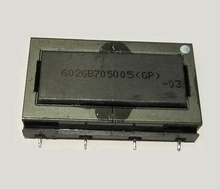 LG GoldStar GT2035 chassis 023A CP11 CP20B CP20K MC83 MC994A SC023A, equivalent: 6174V-6002G 6174V-6006H 6174V-7001A 6174V-8004D 6174V-8005A 6174Z-8005 HR8123 FBT8123 FBT41314. OVP Orava Vilniaus-Vingis, equivalent: 1152.7010 1152.7010A PET22-33 PET22-33B PET22-39. Fisher Sanyo 21MT4 C21EF44 chassis EB4 EB5 EB8 EC4 EC5 LA3, equivalent: L40B05500 L40B12300 L50B12300 HR8328 FBT8328. Goodmans Vestel chassis 11AK30 11AK36 TV2KY, equivalent: 003313153 1188884 30017788 BSC22-N0103 FA4511IT FM1080 FVE0247 VS30017788. Samsung Combo TV/VCR/DVD model TX20P14/XXEC chassis C17A 90°, equivalent: AA26-00171A AA26-00192A AA26-00218A 14123001 1412.3001 1412.3001A HR80275 FTK-21H001 FTK21-H001 FBT80275 FBT41096. Samsung Sharp chassis PTAM05 PTFM05, equivalent: BSC25-2701 C30418F FSV-20B013 HR8438 PET23-11N FBT8438. Quasar Ivory Kenstar Hyundai Platinium TNP0EA010 TV21S2NS chassis GLP23A PH03 PX200-61, equivalent: 46205200370 BSC14-30S BSC24-01N40 BSC25-N4004 HR80467 FBT80467. Grundig Davio, Beko chassis E1 E3, equivalent: 000236847 080289600 040130R-C1 13606-51213E 759551339400 759551339500 BSC59J1 BSC59J2 BSC59M2 BSC59J3 BSC59L4 DST14-Chang-25KV. Grundig Davio, Beko FA5132T chassis E1 90º TK34-42, equivalent: 040.130R-J1 040130R-E1 040130-SP1 759551168700 75955-116.8700 F07A0002 FA5132-T FBK0330 FM-1080 HR80301 K31304.00 FBT41304 FBT80301. LG 21FX4RG RZ-21FB55RX chassis MC049 MC049A MC049B, equivalent: 6174V5003R 6174V-5003R 6174916001A BSC25N1537 EBJ37038602 HR80228 FBT80228. Original Flayback Transformer Saba Telefunken Thomson ICC9 Chassis. Cross Reference: 003370115 100351.60 40308-28 534TX0318 FBT40530 FBT6460. Daewoo Panasonic, Chassis CP650 CP830-F 21"-29'' Super Slim 50Hz, equivalent: 13625067 1362.5067 1362.5067D-P 13625067 50H0000312 BSC29-0172G HR80274 FBT80274 FBT41319. Bobina drosel 1000uH ±10% 700mA 1Ω 12, 5x20mm. Electrolux Whirlpool Cross Reference: 0LR1001K03 / 0LR1001K100 / L0606RA Coil Drossel Inductor LNK304PN Repair Kit. 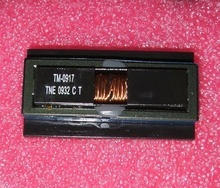 CCFL inverter trafo for VK.8A183.I04, equivalent 6020B. CCFL invertor trafo LCD Samsung 17'' - 19'' model: 740N 732N 943N 943NW 943NWX 953BW, equivalent: TMS92902CT TMS92903CT TMS92515CT. Bronx Edelstein Galactic Ivory Kontrast Ryder Sunny Zander Windsor chassis UOC-14/21, equivalent: 3279510810479 DST2010-S076 DST2010-TF0271 HR81047 FBT81047. 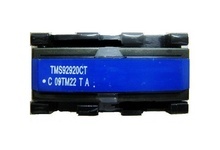 Goldstar CBT4742 chassis MC41A PC91A, equivalent: HR7485 KN-30173 FBT7485 FBT40173. Neo Provision Quasar Teletech Tauras 37-42cm chassis MN-TV2KR-L5T T2P03, equivalent: 37-F080147-80D BSC05N2178F PET2107 PET21-07. Aeg Kontrast Quasar Orion Provision Sinudyne Tauras Monitronics model: 14R1TH CTV4802 T2136 chassis MNTV2KR TV2KR, equivalent: 37-000LTC2-09M BSC25-5506C BSC25-5506CH. Axa Elite Ivory Kalantari, Chassis Tousda-TH2105F 14-21" flat, equivalent: HR80916 FBT80916.